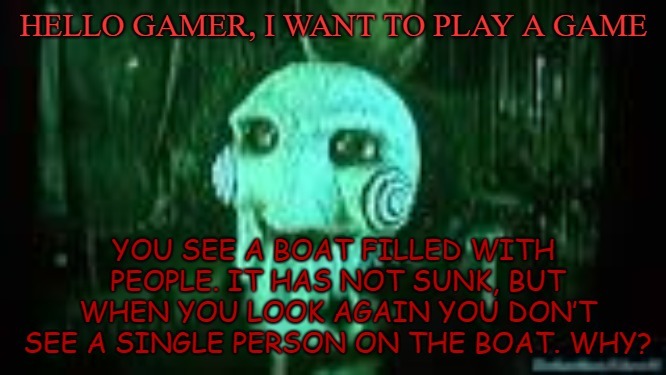 HELLO GAMER, I WANT TO PLAY A GAME; YOU SEE A BOAT FILLED WITH PEOPLE. IT HAS NOT SUNK, BUT WHEN YOU LOOK AGAIN YOU DON’T SEE A SINGLE PERSON ON THE BOAT. WHY?